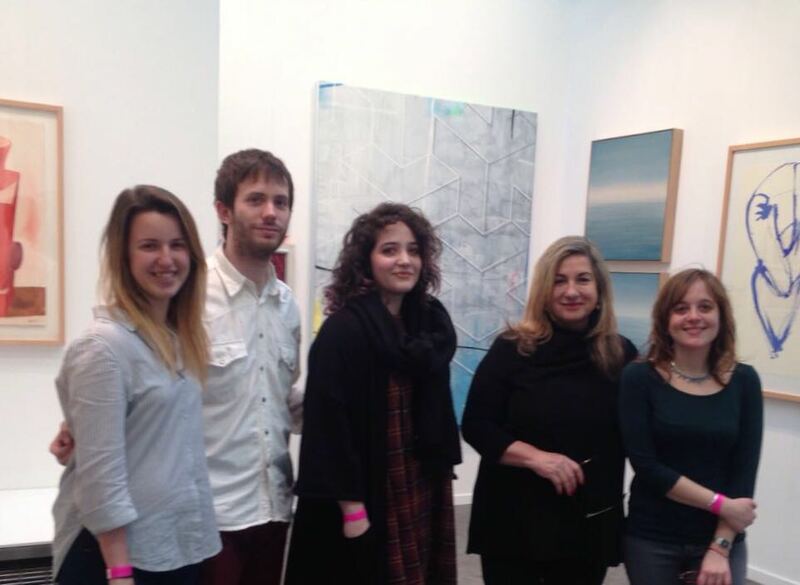 We are only a week of contemporary art fairs in Madrid. 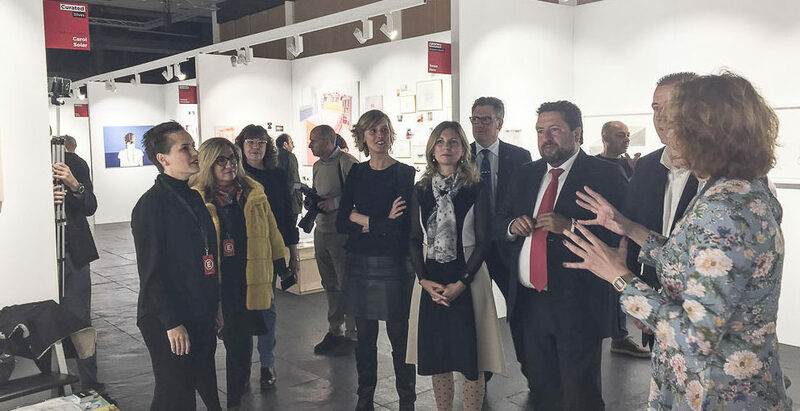 For any art gallery that will participate in some of the shows are very intense days, a lot of coordination, communication with the organizers of fairs, last minute changes sometimes are necessary, are days of meetings with participating artists to select the best suitable proposal for each show. Gallery in Shiras we do so, we work together, and any suggestion that favors the proposal is studied and deck. Given the long history of most of the artists we represent, my meetings with them, but a meeting between gallery owner and artist, are meetings between the same team rowing in the same direction and the same objective, which is to promote artists and make their art reaches beyond the local level. 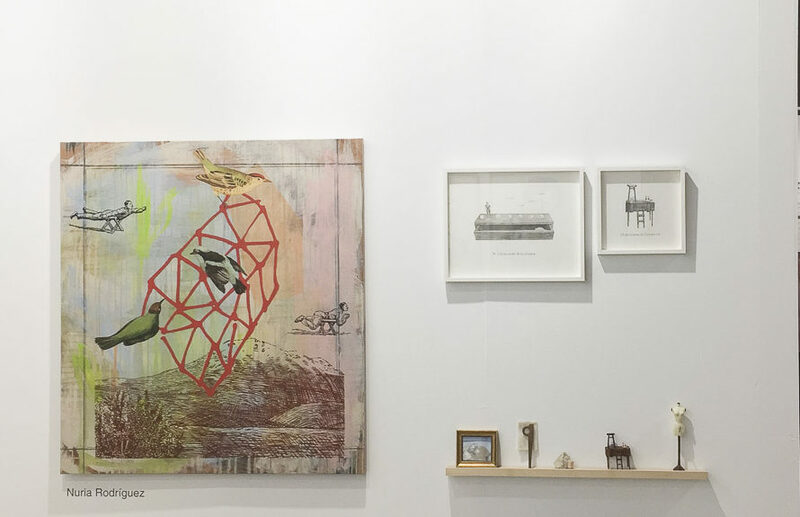 Investing in fairs for a gallery is a major effort, both financially and professionally. You have no guarantee of at least recoup that investment, however you look with the obligation to do so, because the art market is today pipelined and marked by fairs. Sporadic collectors or buyers have increasingly accustomed to acquire at fairs or interested in some artists through exhibitions. Then someone might wonder whether the role of the galleries is to prioritize its efforts on the participation of fairs. It is a complex issue, but it can be summarized that with the passage of time and the closure of many galleries, the art market has been increasingly concentrated around the fairs, and when the show is more serious and organized register it becomes an essential task to reaffirm your line, make it known and mark another step for you as a gallery and the artists you represent. For our gallery, we work all year with the local public and collectors have a relationship of trust and friendship in some cases. Our participation in fairs is an important task but not the only, visitors take great care of our spaces, cosseting, we have a very wide public schedule, and trust the work day to defend the exhibition projects of the moment. Every detail is cared for everyone who visits us feel very comfortable and is a very special experience. For instance, the other day came one Mr. usually visit and noticed a change we had made in one of the rooms of the gallery. Then I realized I was very interested to know why they did that change, and that interest I personally liked very much, then you have our very installed gallery in his memory, as I said, and that each time you visit us feels like part of it. It was a phrase that came to me a lot, struck up an interesting conversation and I felt that regular visitors have a great interest in our space very lucky, and this is essential in our line of work with the public. Indifference that characterizes almost all behaviors of our society, including the dependence on digital media, makes our relationship is getting colder, more structured. A space dedicated to art, in my opinion, should be the alternative to this model of indifference being installed increasingly among us; It must be closer, more human, creating that illusion and harmony for visitors, acquire or not a work. From my point of view, the aloofness of some galleries has led in this rift between society and the general public art galleries. Faced with this situation, why I participated in the fairs ?, why some collectors make their major purchases at the fair? It is very important for a gallery make the effort to go to the right shows, it's like being in a showcase along with other spaces showing your best proposal. In your usual collector also somehow he likes to see that artists who are interested are present in such events, and ultimately it is very necessary and important for artists who represent the effort to participate, provided that the fair you choose is a serious fair level suitable to your artistic line and structured so that your effort is rewarded and valued. Is there sexism in the art world? Gallery owner, founder and artistic director of Shiras Gallery.